Lake Stockwell Day Camp at YMCA Camp Ockanickon is being held for 10 one-week sessions from June 25 to August 31. A Lake Stockwell Day Camp experience is about so much more than swimming, boating and archery, according to Lynn Passarella, the camp’s director. Lake Stockwell Day Camp, which is part of YMCA Camp Ockanickon, is located on Stokes Road in Medford. “We also specialize in afternoon ‘after camp’ programs that encourage children to become their very best selves,” Passarella explained. 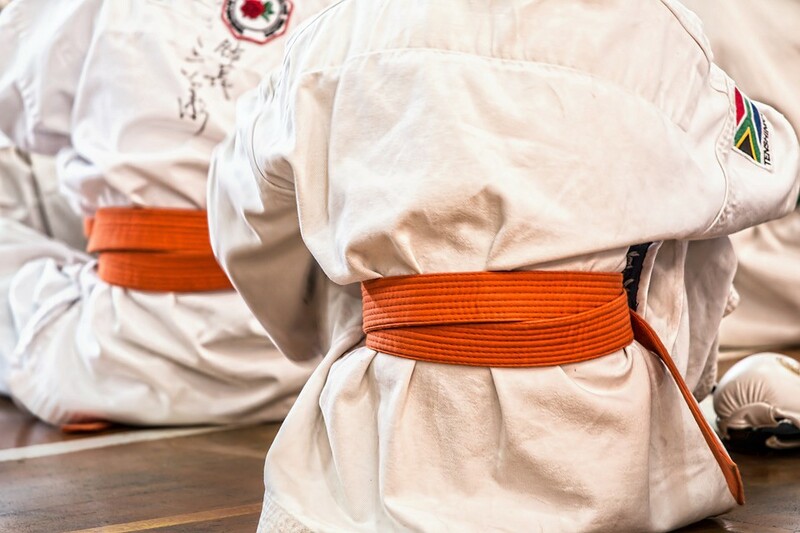 One such program is martial arts, which will be run at the Medford camp this summer by Brian Preston of Martial Arts Fitness Center in Marlton. Preston added that self-defense training builds discipline, coordination and increases socialization skills. The program will also focus on stranger awareness, bully prevention and leadership. Preston is a Third Degree Black Belt in Tae-Kwon-Do, a Brown Belt in Brazilian Jiu-Jitsu and has been teaching and training for over 20 years combined. He actively takes part in tournaments and competes in various races including Mud Runs, Tough Mudders and Beach Runs. He received his Personal Training Certification and Nutrition and Wellness Consultant from the AFPA in 2007 and in 2010 became a Mixed Martial Arts Conditioning Coach (NESTA) and Fitness Nutrition Coach (NESTA). Lake Stockwell Day Camp runs for 10 one-week sessions during the summer, Monday through Friday from June 25 through August 31. Typical camp programming — archery, arts & crafts, boating, swimming, earth education, etc. — runs from 8:30 a.m. until 4 p.m. After many of the day campers leave the property, there are additional programs offered, such as martial arts, swim lessons, drama, robotics, outdoor living, between 4:30 p.m. and 6 p.m. The late afternoon programs are not only educational and fun for the campers, Passarella said, but they benefit busy working parents by providing enriching programming after the camp day ends. “This will be a terrific opportunity for our campers to learn more real life skills here at camp,” Passarella said. To register for Lake Stockwell Day Camp or any of the afternoon specialty programs, go to https://ycamp.org/dc-redirect/. Passarella can be reached at (609)678–1502 or lynn@ycamp.org. To register for sleepaway camp (Ockanickon for boys or Matollionequay for girls), go to ycamp.org.